Noa’s Ark is Now Available as an Audiobook! I love to read, but if you have to spend a lot of time in a car, doing errands, etc. audiobooks are the way to go. 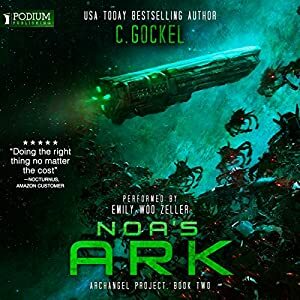 Noa’s Ark is only 1-credit at Audible. Or, if you own Noa’s Ark in Kindle format it’s only $2.99 to purchase it from Amazon. It’s also available at iBooks. 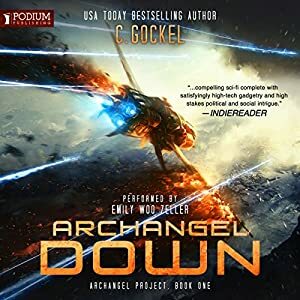 Archangel Down is now an audiobook. Podium, the same folks who discovered the Martian, decided they liked it! 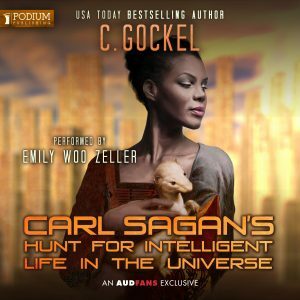 The narrator is the award winning Emily Woo Zeller If you own the Kindle version the audiobook is only $2.99 on Amazon, or one Audible credit. Get your audibooks from iTunes? Check out the iTunes version. No Longer Available as a Set. 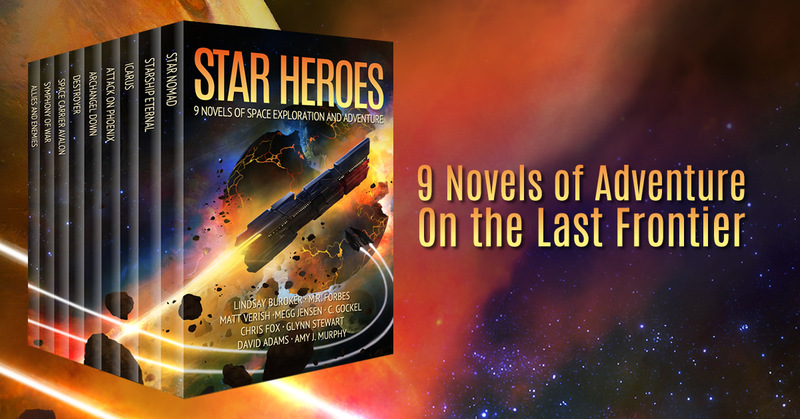 Star Heroes is a space opera collection with nine novels of the galactic frontier. 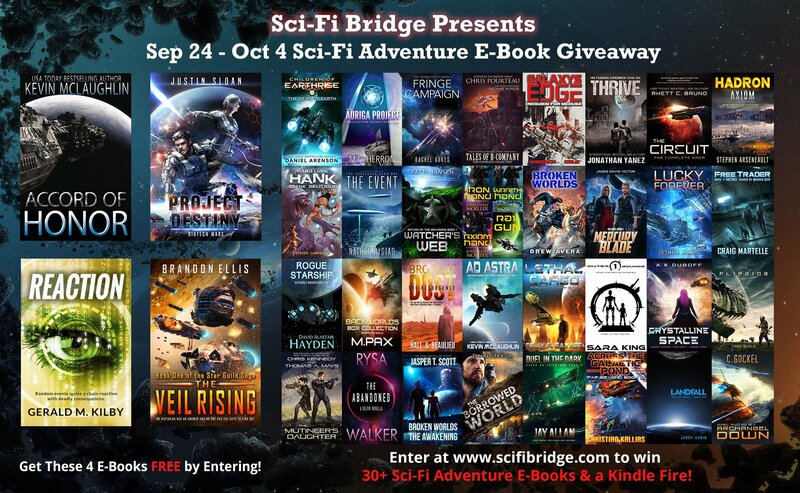 Exploration, alien invasions, genetic engineering, and artificial intelligence–it’s all here. In this fast-paced space adventure, Captain Alisa Marchenko must brave sadistic savages, fearsome cyborgs, and brutal pirates to steal a ship so she can find her way home. When a critical injury leaves Space Marine Captain Mitchell “Ares” Williams having visions of a lost starship and an alien invasion, he thinks he’s going insane… He isn’t. Cole Musgrave’s dream of interstellar travel has become a nightmare. When a delivery is compromised aboard a classified cargo vessel, the unorthodox captain finds himself embroiled in a deadly assignment that will alter his life forever. Two hundred years ago, an interplanetary expedition crashed on a deserted planet. Catching the attention of the dragzhi, an aggressive alien species, they found themselves in a war they were doomed to lose … unless Torsten Vikker, a soldier who’d rather read than fight, can find a way to save them. Commander Noa Sato doesn’t believe in aliens. She’s too busy trying to save the lives of millions and her own skin to ponder the existence of “others.” Fortunately for Noa, aliens believe in her. Avalon was the first and most legendary of the Castle Federation’s space carriers, but she is now old and obsolete. Accepting the inevitable, she is sent on a final flag-showing tour. But war clouds gather and this final tour will be anything but quiet. Lieutenant Marcus Servus and his soldiers, a penal legion, stand against insectoid boogeymen from another galaxy. Marcus has a gift. An edge against the monsters: he hears music. Songs in his head guide him, granting him knowledge and foresight, a weapon against the alien hordes. But who plucks the strings? Purpose-bred soldier of the Regime, Commander Sela Tyron is as subtle as a hammer. To hammers, any problem can look like a nail, but solutions aren’t always that easy. When Sela encounters a son she is forbidden to know, falls in love with a man who is clearly off-limits, and is abandoned on a planet of insurrectionists, things get complicated. Individually, these books would cost $29.99 to purchase, but for right now they’re FREE. This deal won’t last long, and neither will this box set. Download this collection today at Amazon! United States, Canada, UK, Australia, and Germany.